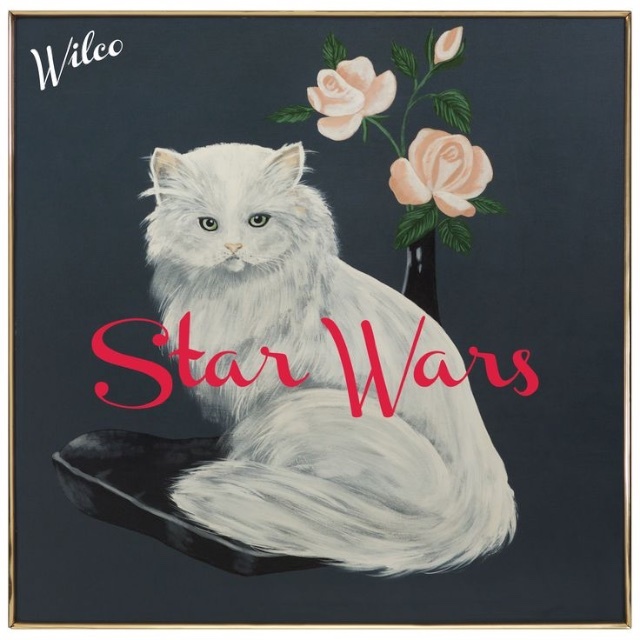 Star Wars, Cats, and Wilco- three of my favorite things all on one album. Of course it has nothing to do with the George Lucas franchise... and it really doesn't involve animals... but it is absolutely Wilco at their best. I should've posted this sooner, when it was first offered as a free download. As it is, you may have one more day to get it on their website or iTunes for free. Hurry up. I haven't really read up on it. I don't know why it's presented this way, but it made me laugh out loud. And I really like putting it on and listening to it all the way through, then doing it again. I have a thing for music that fills me with nostalgia, and usually that's a slightly melancholy experience. It's something all of Wilco's albums do to me. On the first listen, I instantly feel like I've "felt" this song before. But this one doesn't go too far in that direction. It's loose and fun, like a free album with a picture of a cat on it should be.